Dell back in to rival Apple iPod? 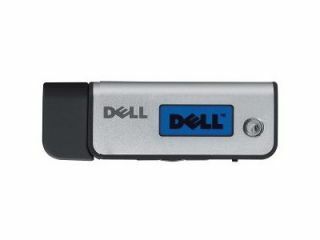 Rumours are flying out of the e-stratosphere that Dell is planning to unleash a new MP3 player for under £50. The music player features a small navigation screen and basic buttons…which makes sense really as otherwise you'd have a pointless brick unable to do much. The device is currently undergoing extensive tests, according to the Wall Street Journal, with a download service to "organize music and movies from various online sources", connected by WiFi. Dell pulled out of the MP3 market a couple of years ago when the 'DJ Ditty' MP3 player was withdrawn from the market, thanks to largely having a tiny navigation screen and basic buttons…uh-oh. Rumoured to be ready for release around September, we're going to go out on a limb here and say Apple won't be sounding the fruity alarm bells about Dell's decision to re-attack the music player market.